Bleu Design Consultants is a melting pot of diversified & dynamic designers who share a common passion for beautiful interiors. You may have spotted our work in amazing hotels, lavish restaurants, public spaces, or private homes, and we still have more to share! Since we are constantly falling in love with exceptional pieces while consulting with our suppliers in Europe, we decided to propose a capsule collection to our confidential circle of friends & clients. 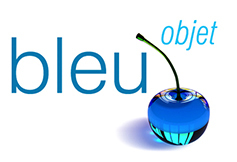 For the love of quality & pure lines, Bleu Objet now brings all those travel “coup de Coeur”, bespoke accessories or exclusive furniture straight to Beirut, without the hassle of a showroom or enormous stock management. Each Tuesday, we will email you our pick of the week with our recommendations. You can also browse the collection as it develops on Pinterest, the social media tool for mood boards. See you next Tuesday for the first mardi bleu!